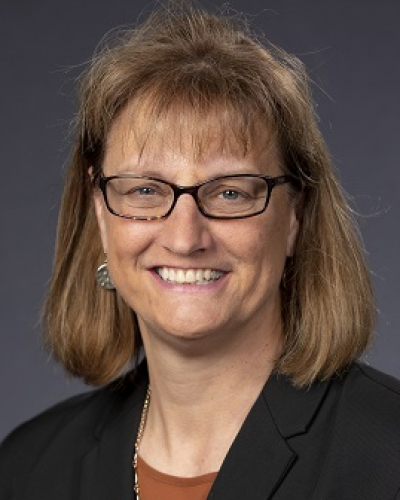 Darla M. Castelli, Ph.D. is a professor of physical education pedagogy and health behavior health education in the Department of Kinesiology and Health Education at the University of Texas at Austin. She is an active fellow in the National Academy of Kinesiology, who examines the effects of physical activity and metabolic risk factors on cognitive health. Castelli strives to understand how physical activity can reverse the effects of health risk. She has been working with school-age youth in physical activity settings for more than 25 years, leading several physical activity interventions (e.g., Kinetic Kidz, FITKids1,FITKids2, Active + Healthy = Forever Fit, Fitness4Everyone). Castelli has received teaching awards in both the public school (i.e. Maine Physical Education Teacher of the Year) and higher education (i.e., University of Illinois Teaching Excellence Award, University of Texas at Austin, Kinesiology and Health Education Graduate Teaching Award). As a fellow in the SHAPE America RC and past Young Scholar award recipient from NAKPEHE and AEISEP, her research has been funded by the National Institutes of Health, Robert Wood Johnson Foundation, American Dietetic Foundation, and U.S. Department of Education. She has presented her work at U.S. Congress and Senate Briefings in Washington, DC in support of the FIT Kids Act. Castelli has been a member of two Institute of Medicine committees on Fitness Measures and Health Outcomes in Youth and Physical Activity and Physical Education in the School Environment. She received a B.S. from Plymouth State University, a M.S. from Northern Illinois University, and a Ph.D. from the University of South Carolina. Centeio, E., Cance, J., Barcelona, J. & Castelli, D. (2018). Relationship between health risk and school attendance among adolescents.. American Journal of Health Education, 49(1), 28–32. Beddoes, Z. & Castelli, D. (2017). Comprehensive school physical activity programs in middle schools.. Journal of Physical Education, Recreation and Dance, 88(6), 26–32. Carson, R., Castelli, D. & Kulinna, P. (2017). CSPAP professional preparation: Takeaways from pioneering physical education teacher education programs.. Journal of Health, Physical Education, Recreation, and Dance, 88(1), 43–51. Hwang, J., Castelli, D. & Gonzalez-Lima, F. (2017). he positive cognitive impact of aerobic fitness is associated with peripheral inflammatory and brain-derived biomarkers in young adults.. Physiology & Behavior, 179, 75–89. Castelli, D., Carson, R. & Kulinna, P. (2017). PETE programs creating teacher leaders to integrate comprehensive school physical activity programs.. Journal of Physical Education, Recreation, & Dance, 8–10. Drollette, E., Pontifex, M., Raine, L., Scudder, M., Moore, R., Kao, S., Castelli, D. & Khen, N. (2017). Effects of the FITKids physical activity randomized controlled trial on conflict monitoring in youth.. Psychophysiology. Marshall, T., Champagne-Langabeer, T., Castelli, D. & Hoelscher, D. (2017). Cognitive computing and eScience in health and life science research: Artificial intelligence and obesity intervention programs.. Health Information Systems, 5(13). Moore, J., Carson, R., Webster, C., Singletary, C., Castelli, D., Pate, R., Beets, M. & Beighle, A. (2017). he application of an implementation science framework to comprehensive school physical activity programs: Be a Champion!. Frontiers in Public Health, 5. Kirkham-King, M., Brusseau, T., Hannon, J., Castelli, D., Hilton, K. & Burns, R. (2017). Elementary physical education: A focus on fitness activities and smaller class sizes are associated with higher levels of physical activity.. Preventive Medicine Reports, 8, 135–139. Chapman-Novakofski, K., Muzaffar, H., Castelli, D. & Sherer, J. (2016). Health website's games and features evaluation by middle schoolers.. International Journal of Web-Based Learning and Teaching Technologies (IJWLTT), 11(3), 27–38. Glowacki, E., Centeio, E., Van Dongen, D., Carson, R. & Castelli, D. (2016). Health promotion efforts as predictors of opportunities for physical activity: An application of the diffusion of innovations model. Journal of School Health. Cooper, K., Greenberg, J., Castelli, D., Barton, M., Martin, S. & Morrow, J. (2016). Implementing policies to enhance physical education and physical activity in schools.. Research Quarterly for Exercise & Sport, 87(2), 133–140. doi:10.1080/02701367.2016.1164009. Donnelly, J., Hillman, C., Castelli, D., Etnier, J., Lee, S., Tomporowski, P., Lambourne, K. & Szabo-Reed, A. (2016). Physical activity, fitness, cognitive function, and academic achievement in children: A systematic review.. Medicine & Science in Sports & Exercise, 48(6), 969–1225. Hwang, J., Castelli, D. & Gonzalez-Lima, F. (2016). Cognitive enhancement by transcranial laser stimulation and acute aerobic exercise.. Lasers in Medical Science, 31(6), 1151–1160. Hwang, J., Brothers, R., Castelli, D., Glowacki, E., Chen, Y., Salinas, M., Kim, J., Jung, Y. & Calvert, H. (2016). Acute high-intensity exercise-induced cognitive enhancement and brain-derived neurotrophic factor in young, healthy adults.. Neuroscience Letters, 630(6), 247–253. Phillips, D., Hannon, J. & Castelli, D. (2015). Effects of vigorous intensity physical activity on mathematics test performance. Journal of Teaching in Physical Education(34), 346–362. Castelli, D., Barcelona, J. & Bryant, L. (2015). Contextualizing physical literacy in the school environment: The challenges. Journal of Sport and Health Science(4), 1–7. doi:10.1016/j.jshs.2015.04.003. Hillman, C., Pontifex, M., Castelli, D., Khan, N., Raine, L., Scudder, M., Drollette, E., Moore, R., Wu, C. & Kamijo, K. (2014). The effects of a FITKids randomized controlled trial on executive control and brain function. Pediatrics. doi:10.1089/dia.2014.0073. Carson, R., Castelli, D., Pulling Kuhn, A., Moore, J., Beets, M., Beighle, A., Ajja, R., Calvert, H. & Glowacki, E. (2014). Impact of trained champions of comprehensive school physical activity programs on school physical activity offerings, youth physical activity and sedentary behaviors. Preventive Medicine, 69, S12–S19. Castelli, D., Carson, R. & Hodges Kulinna, P. (2014). Comprehensive school physical activity programs. Journal of Teaching in Physical Education, 33(4), 435–439. doi:10.1123/jtpe.2014-0193. Centeio, E., Castelli, D., Hwang, J., Barelona, J., Glowacki, E., Calvert, H. & Nicksic, H. (2014). The history of physical activity and academic performance research: Informing the future, 79(4), 119–148. Khan, N., Raine, L., Drollette, E., Scudder, M., Pontifex, M., Castelli, D., Donovan, S., Evans, E. & Hillman, C. (2014). Impact of the FITKids physical activity intervention on adiposity in prepubertal children. Pediatrics, 133(4), e875–e883. doi:10.1542/peds.2013-2246. Castelli, D., Centeio, E., Beighle, A., Carson, R. & Nicksic, H. (2014). Physical literacy and comprehensive school physical activity programs. Preventive Medicine, 95–100. Castelli, D., Brothers, R., Hwang, J., Nicksic, H., Glowacki, E., Harrison, M. & Van Dongen, D. (2013). Health indices and cognitive performance in emerging adults. Journal of Novel Physiotherapies, 4(189). Erwin, H., Beighle, A., Carson, R. & Castelli, D. (2013). Comprehensive school-based physical activity promotion: A review. Quest, 65(4), 412–428. doi:10.1080/00336297.2013.791872. Castelli, D., Centeio, E. & Nicksic, H. (2013). Preparing educators to promote and provide physical activity in schools. American Journal of Lifestyle Medicine, 7(5), 324–332. Chaddock, L., Erickson, K., Boss, M., Kencht, A., Pontifex, M., Castelli, D., Hillman, C. & Kramer, A. (2013). The effects of physical activity on functional MRI activation associated with cognitive control in children: A randomized controlled intervention. Frontiers in Human Neurosciences, 7, 72. doi:10.3389/fnhum.2013.00072. Drollette, E., Evans, E., Castelli, D. & Hillman, C. (2012). The negative association of childhood obesity to the cognitive control of action monitoring. Cerebral Cortex. doi:10.4172/2165-7025.1000189. Hillman, C., Pontifex, M., Motl, R., O'Leary, K., Johnson, C., Scudder, M., Raine, L. & Castelli, D. (2012). ERPs to Academics. Developmental Cognitive Neuroscience, 2S, S90–S98. Castelli, D. & Ward, K. (2012). Physical activity across the curriculum: Fostering the beneficial effects of a comprehensive school physical activity program. Journal of Physical Education, Recreation and Dance, 83(6), 20–24 & 29. Castelli, D., Hillman, C., Hirsch, J., Hirsch, A. & Drollette, E. (2011). FIT Kids: Time in target heart zone and cognitive performance. Preventive Medecine, 52(1), S55–S59. Kamijo, K., Khan, N., Pontifex, M., Scudder, M., Drollette, E., Raine, L., Evans, E., Castelli, D. & Hillman, C. (n.d.). The negative relation of excess adiposity to cognitive health in preadolescent children: perspectives on academic achievement (in press). Obesity. The purpose of this study is to examine age-related declines in executive function and these contribute to impaired motor performance and increase the risks of harmful physical consequences (e.g., collision, loss of balance), using an advance virtual reality environment. Centers for Disease Control & Prevention and General Mills Foundation. Presidential Youth Fitness Program Evaluation Proposal. Castelli, D.M. (PI), Cance, J. (Co-PI), & Bartholomew, J. (Co-I). $688,000 (funded April 2012-2015). National Association for Sport & Physical Education. Carson, R. L. (PI), Beighle, A (Co-PI), & Castelli, D.M. (Co-PI). $30,000. (funded January 2012). NIH R01, National Institute of Child Health and Human Development, Hillman, C. (PI), Cohen, N. (Co-I), & Castelli, D.M. (Co-I). $1,949,589 (funded January 2012). Robert Wood Johnson Foundation. Carson, R. L. (PI), Beighle, A (Co-PI), & Castelli, D.M. (Co-PI). Building the Next Generation of Active Youth through Directors of Comprehensive School Physical Activity Programs, $150,000 (funded January 2012). The purpose of this study was to examine the effects of vitamin D and protein consumption on physical and cognitive performance among high school athletes. Drs. Darla Castelli and John Bartholomew discuss their research and the implications for providing physical activity in schools. An example of research conducted in the Kinetic Kidz Lab at The University of Texas at Austin.